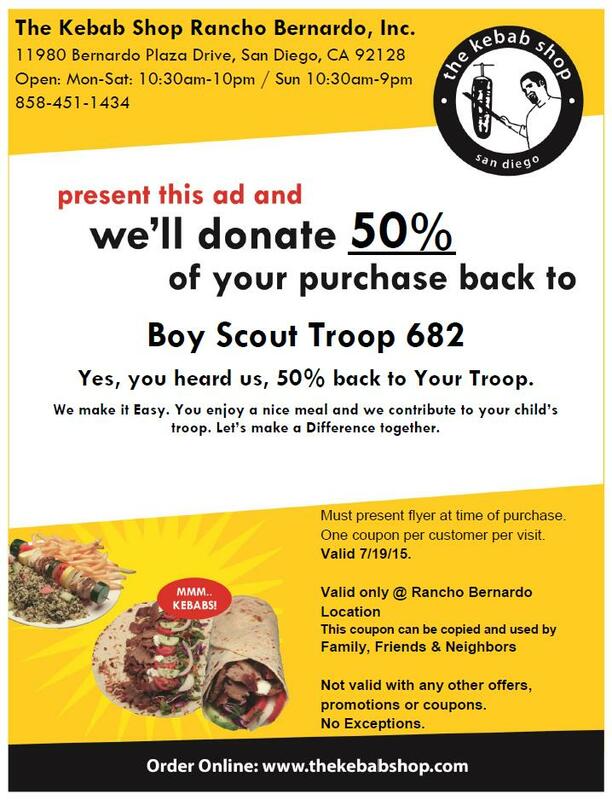 Troop 682 is holding a fundraiser restaurant day at the Kebab Shop located in the Vons Center in Rancho Bernardo. How does it works: Bring the attached flier and 50% of your sale is donated to the Troop. Can I share this? Yes – please forward the flier to family and friends so they can print it.